Dumb, right? Yes, and very hurtful. When in middle school, I’m ashamed to admit (but I will admit), I wrote in one of these books. I remember it well. When it was my turn, I grabbed the book and searched the pages for my name. I don’t recall where I saw it, but I know it was in there, and on a “bad” page. That didn’t stop me from adding a girl’s name to a different bad page. The book was cool. I mean, there was an entire book written about it. And by participating, I was part of the “cool” crowd. I did some stupid crap in my school years. I know this. I followed what others did hoping to be popular. I’ve always been a little weird and misunderstood and by participating in these things, I hoped I could be part of that crowd. I was. Until we got caught. I believe it was during lunch that a teacher came across the book. No one got detention, but the book was confiscated. And those that created the book were nowhere to be found. The blame was on me and the other girls who were trying to fit in. I don’t know why I was surprised and still tried to fit in with them as the years went by. The Slam Book Years – those were difficult. 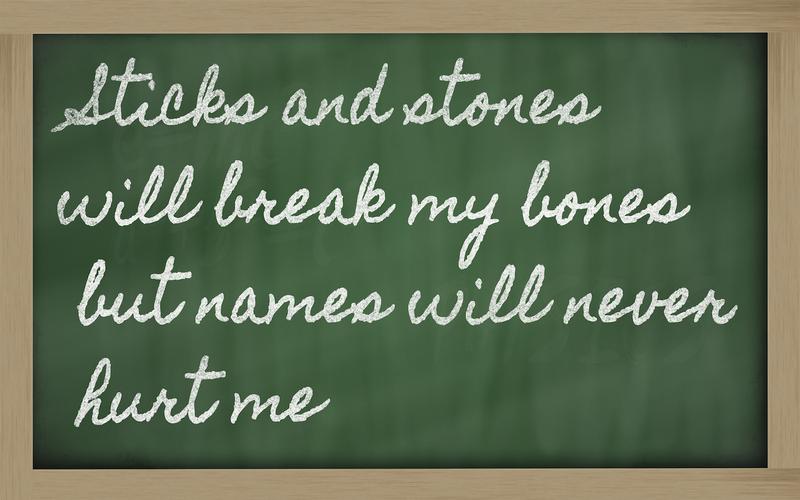 All the jokes people made about me, all their thoughts about me – all written down for the world to see. Now I’m in my (late) thirties, and I still wouldn’t redo my school years. And I can’t imagine doing them now. Facebook. Twitter. Tumblr, and whatever else is out there that I don’t know about, because let’s face it, I’m not hip. Never have been. These things are the new slam books. These social networks meant to bring people together are bullying headquarters and the newest ways to tear people and their beliefs down. I love social media. Love it. I have made many new friends online and this is very important to me because I don’t feel I make friends easily in real life. Despite having graduated from high school eighteen years ago, making friends at my age is no different than it was in grade, middle, or high school. The pettiness is still there. The judgements still exist. And, let’s face it, I’m still weird. Through Facebook and Twitter, I have met many authors and fitness people who have the same interests as me and are just as weird. Making friends can be difficult, especially when you’re different. I love social media. Love it. I have made many new friends online and this is very important to me because I don’t feel I make friends easily in real life. 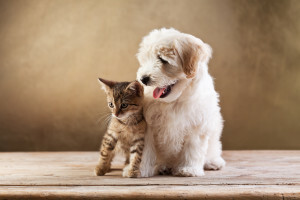 Despite having graduated from high school eighteen years ago, making friends at my age is no different than it was in grade, middle, or high school. The pettiness is still there. The judgements still exist. And, let’s face it, I’m still weird. Through Facebook and Twitter, I have met many authors and fitness people who have the same interests as me and are just as weird. I’ve found where I fit in. But then there are those people. The slammers. These are the people who only post negative things about everything and everyone. From politics to other people’s personal choices to even names celebrities pick for their children. There is always something to say. These are the people who probably created slam books in their years. The blockers. These are the ones who always comment on your positive post with something negative about your uplifting words or only complain in everything they type. They live to bring you down. I’ve learned these people only lack confidence and are jealous of your success. The judgemental non-judgers. These are my favorite people. They claim not to judge people, but all they post are things that plainly judge others. These mostly come about during elections and huge national events and, unfortunately, tragedies. I’m sure we all have these people in our news feeds, and we all are probably guilty of being one at some time or another. Heck, this blog post in itself is a tad judgemental, don’t you think? Oh, the irony. Every day I come across one of these people. I can go to specific pages and see people tearing each other down. It’s not only social networks as listed above, but also blogs and comments areas on national sites. The Internet introduced a whole new world to bullying and just being mean. A lot of people refer to this as freedom of speech. While yes, it is, there is also a line when people start with name-calling and ripping other’s apart with their words. It’s funny. 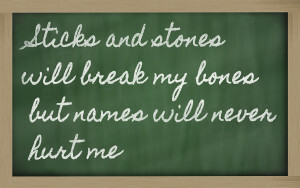 Sticks and stones will break my bones, but names will never hurt me. If you ask me, the names sometimes hurt more. Tell me, did you have a slam book in your school years? Also, what type of people do you run into online? Let me know in the comments. 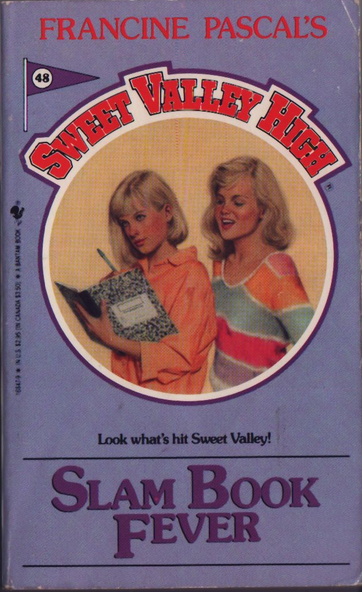 I don’t remember the Slam Book – but I loved reading the Sweet Valley High Series. And you’re so right about social media and it’s ability to give mean people a platform to amplify their meanness. Mean people are yucky. They should go live on Pluto. No! URANUS. Wow. I grew up in the UK and can happily say I never came across a slam book. What a horrible thing! Nonetheless, high school was pretty painful and like you, there’s no way I’d want to re-live it. I’m also very lucky online: most of those I interact with are absolutely lovely and I feel I’ve made many genuine friendships with people I’ve never actually met. But on other groups and news articles, I’m amazed at the hurtful nature of some comments, even for things like a suicide or road death. And I suspect they’re made by people who can’t possibly be experts on these difficult issues. Reading the comments on news articles is so depressing – and so full of hate. Nope. We didn’t have these! Thankful again about my school system! They weren’t allowed. No way. No how. Taken away the second the teachers found out. We didn’t have slam books, but we had mean girls. It frightens me bringing up a girl in this new age of cyber bullying. Thankfully she’s too young atm, but it will come. A friend recently lost her friend’s daughter to suicide because of cyber bullying. Bullying’s been around since the beginning of time, but at least when I was growing up you could escape it. But with social media, it’s everywhere, all the time. Thankfully my online presence is so small I’ve only run into nice people, like your good self! I wrote something similar to this on Facebook today! I was frustrated over some criticism I got that wasn’t constructive. Just mean and really stung me deep. I got so much support, and it was so weird to see the same technology that brings hurtful people across my path is the same thing that brings supportive and kind people to me. I am working on putting all my focus on those good people, and reminding myself to focus on the good makes my life better. I also loved what you wrote about the slam book. It’s so true that when you’re young, even if people did something hurtful to you, you’re likely to do it to someone else.